Looking for a cake with fresh fruit? Well I have just baked a moist and no-fail Fresh Apple Cake with perfect amount of sweetness plus large chunks of apple, this adds a great flavor and texture to this cake.. 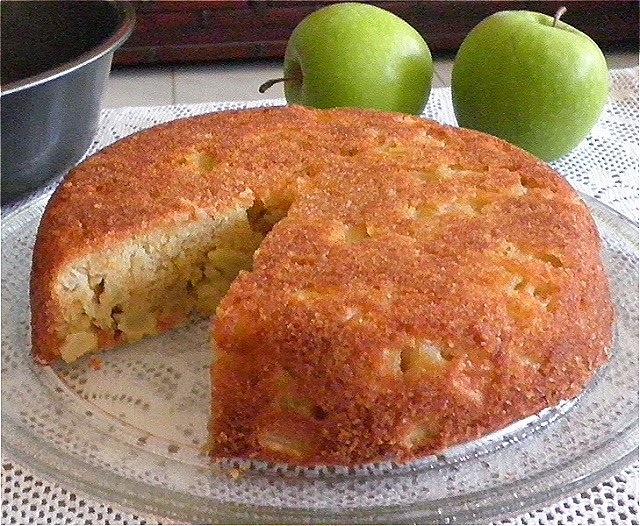 This Fresh Apple Cake uses fresh apple. Mine is made of granny smith but other varieties such as gala, red delicious, McIntosh or combination of them should work too. Don't use a food processor to chop the apples. It should be roughly chopped into 1/2 in chunk. Use a simple drizzled glaze or serve it plain. Prefer to omit the glaze since it it well sweetened. already. You can also dust the cake with icing sugar. 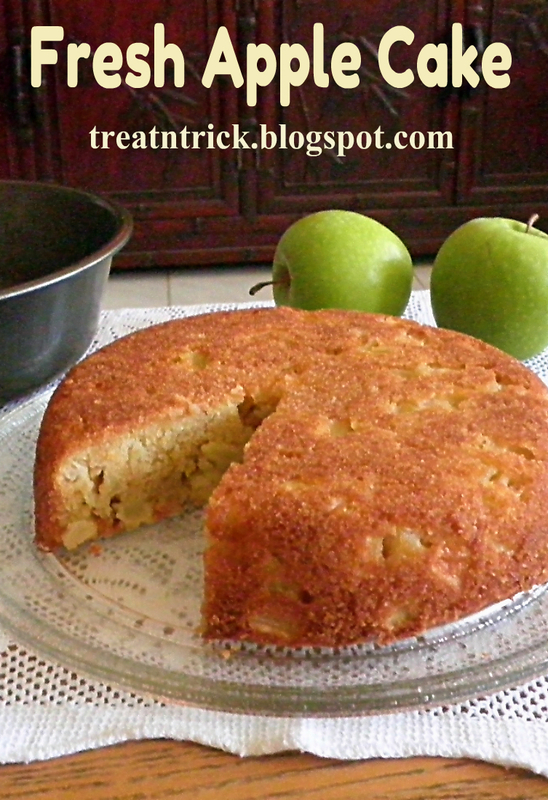 Not only is this Fresh Apple cake really yummy but it is also very easy to prepare. So give this recipe a try and let us know if you think this cake is the best! * Sift together flour, baking powder, baking soda and salt. Preheat oven @ 180 C. Grease 7 inch pan. * Now add dry ingredients with the butter mixture, stir until just combined. Mix in apples. * Pour into prepared pan and bake for 40-45 minutes or until a skewer inserted comes out clean. * Cool on pan 10 minutes, transfer into rack to cool. Slice to serve. Healthy & new cake......must try this. 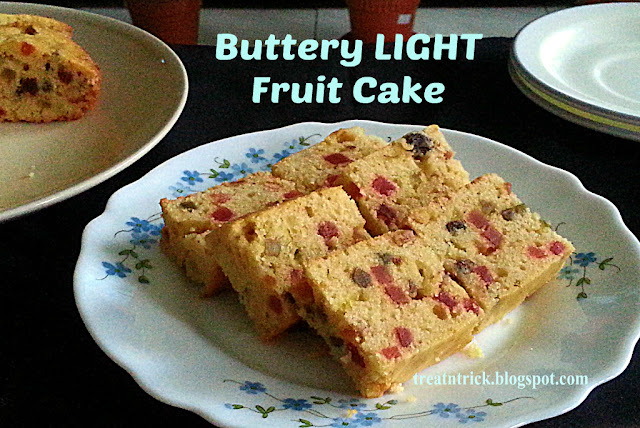 Fresh fruit cakes are always a pleasure to eat...very refreshing...Lovely recipe dear!! It looked good. Thks for sharing. Hi, one question. Need to beat egg, sugar n butter till light and fluffy? will have to try this, we are big apple people and know we would all eat this...thanks for sharing. this is my ultimate kind of cake, basically chunks of fruit with lovely sponge wrapped around it... all very good and perfect! 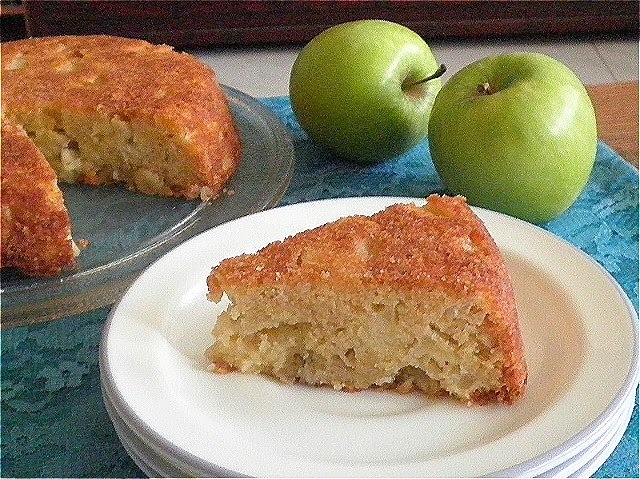 Fresh apple cake is one of my favorites - and this recipe looks easy and delish! Oh yum! This looks so good. Thanks for sharing! I've pinned this! It sounds amazing! There is nothing like fresh apple cake in the house. I am saving this to try! Looks moist and delicious! your cake is simply looking divine and gorgeous :) such a beautiful slice..
Hi there! It's Bridget of The Recipe Wench visiting from Foodie Friday & Everything Else Link Party. 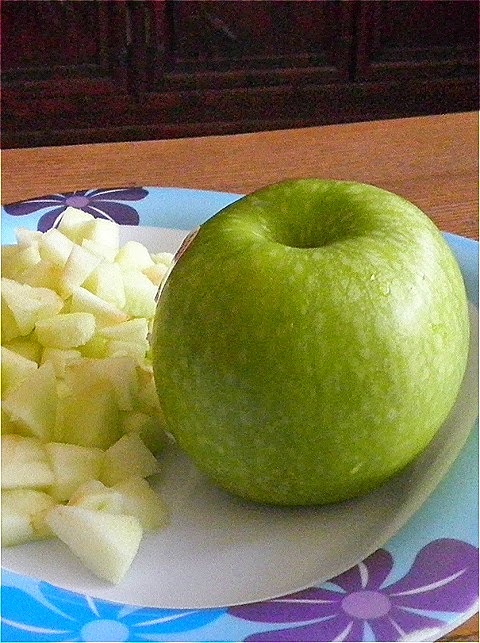 Love this apple recipe! Beautiful photo too! Hope to see you around! Mmmm...this apple cake looks so yummy! I've got some granny apples in the fridge that would be perfect for this recipe! I bet it would freeze well, too! My hubby will love this cake! Anything apple is his favorite. Thanks for sharing the recipe. I just made this cake for my hubby, who loves anything apple. The only change I made was adding a bit of cinnamon. It is definitely a keeper! Thanks for sharing. Thank you, for sharing this yummy recipe with us at the Mommy Monday Blog Hop! Yummy! Wish you could parcel that here to bangalore. Yummy! wish you could parcel that to bangalore. Apple cake is one of my favourites. This one looks good. Apple cake would be a nice change from my usual crisp! Thanks for linking up with the Creative Spark Link Party! This looks divine! Thanks for sharing it on OMHGWW. Tried the apple cake recipe today as I had some apples leftover. The cake turned out very moist and delicious. Thank you for such a wonderful recipe. It looks so yummy! I have to try! 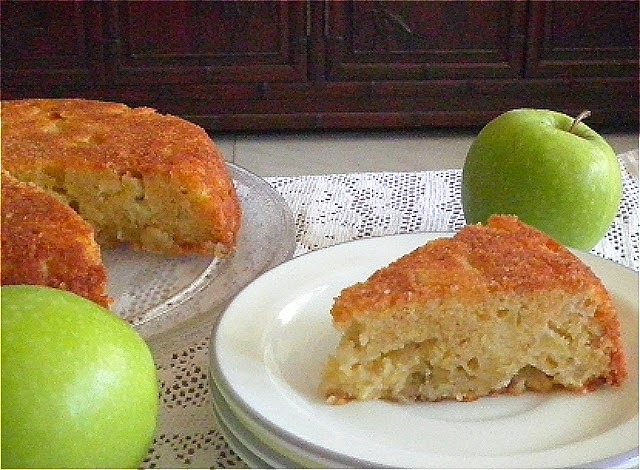 I love Apple cake...one of my faves, and I've had it lots of ways. Going to have to try this Nora. Thanks for sharing at Sweet Inspiration! Pinned. Can we replace butter with oil? Looks and sounds so yummy! Sharing! Thank you for sharing on Merry Monday! Hope to see ya next week!